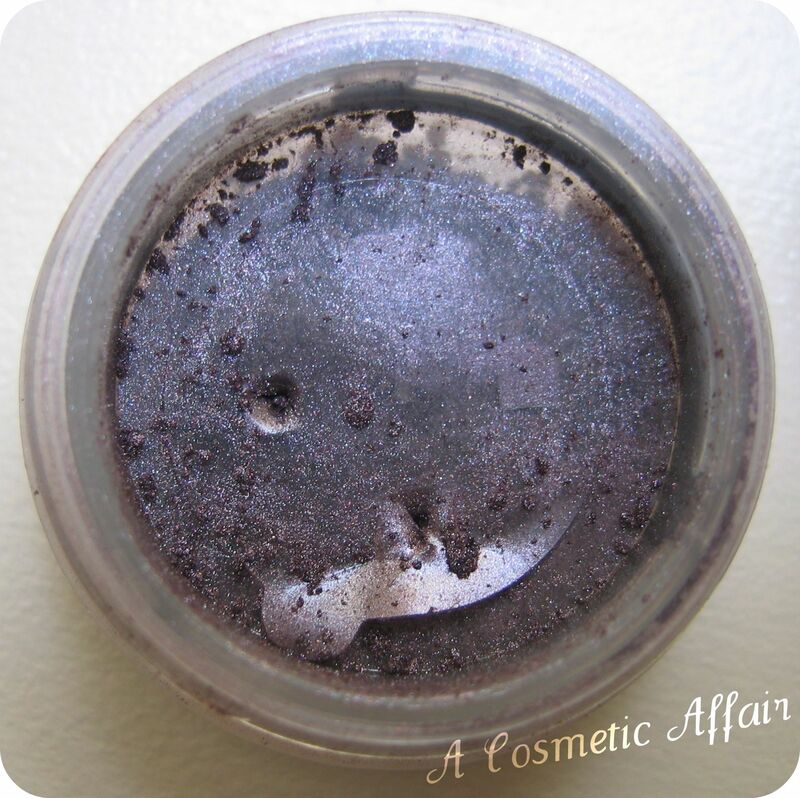 This is the first mineral eyeshadow that I got from Elf, and so far the only one. However, I am sure I will get many more from this line as the texture and payoff of these is really great. 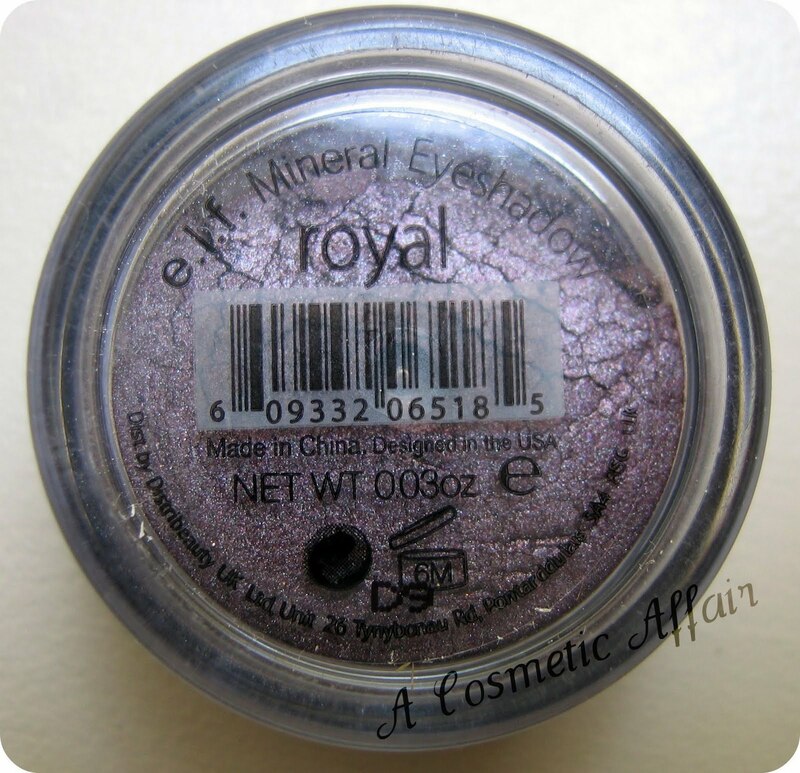 This is the Elf Mineral Eyeshadow in Royal which is a gorgeous purple shade. You get a little pot with 0.03oz/0.85g of product for €3.50/£3.00 from the Elf UK website. 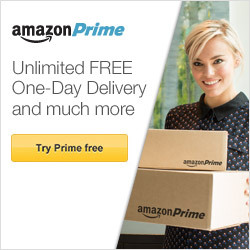 The company also gives some of its profits towards charity, although I am not sure about the percentage. Elf is also cruelty free, which is very important and helps the environment by making use of recyclable materials. The product comes into a little round pot with a twisting top. The loose powder has a sifter and it is protected by a sticker when it comes to you. I just put two holes in the sifter as with eyeshadow you never want too much product to come out. Usually with face powder I don’t mind it much and remove the plastic all together, but with this I didn’t. 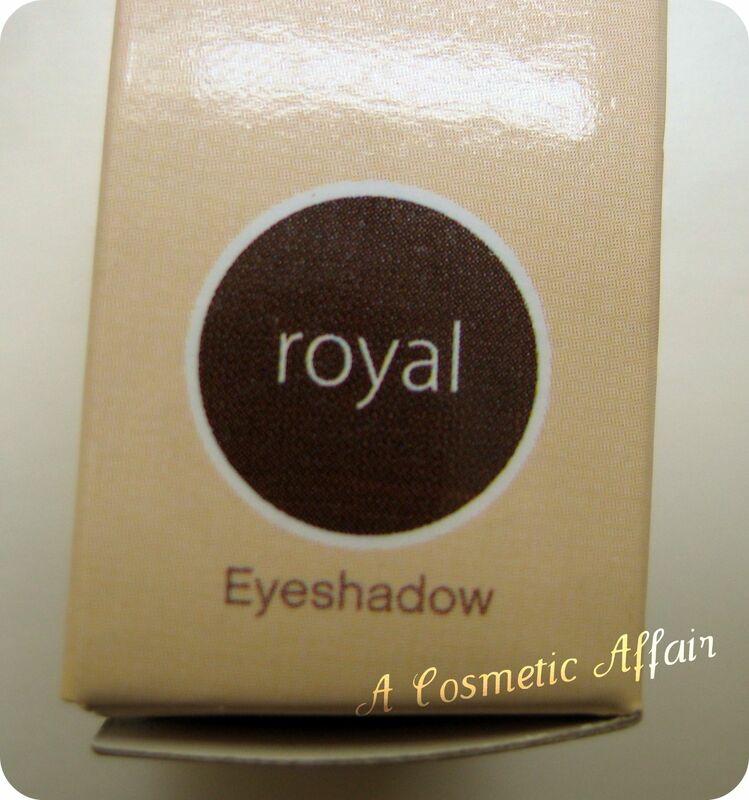 The texture of the eyeshadow is really soft and velvety and really easy to apply and blend. 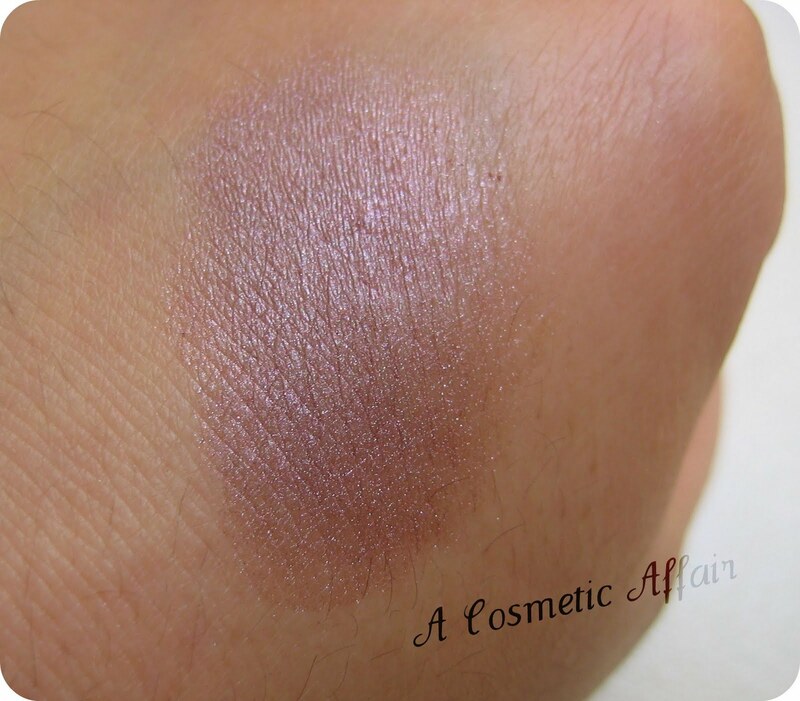 The swatch I did is on my hand and has no primer underneath. You can either use it this way for a slight wash of color over the lid or you can intensify it by applying a primer or a base underneath it and the color becomes more vibrant. I love it both ways. I will surely try and get more of these shadows from Elf as they are really gorgeous. 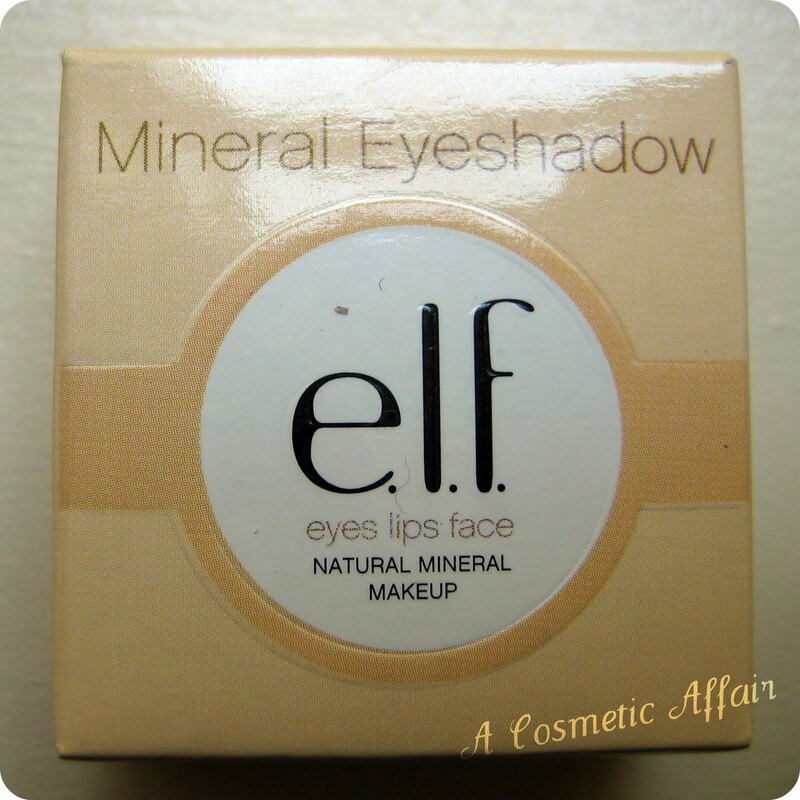 For more Mineral products from Elf I recently did a haul too. 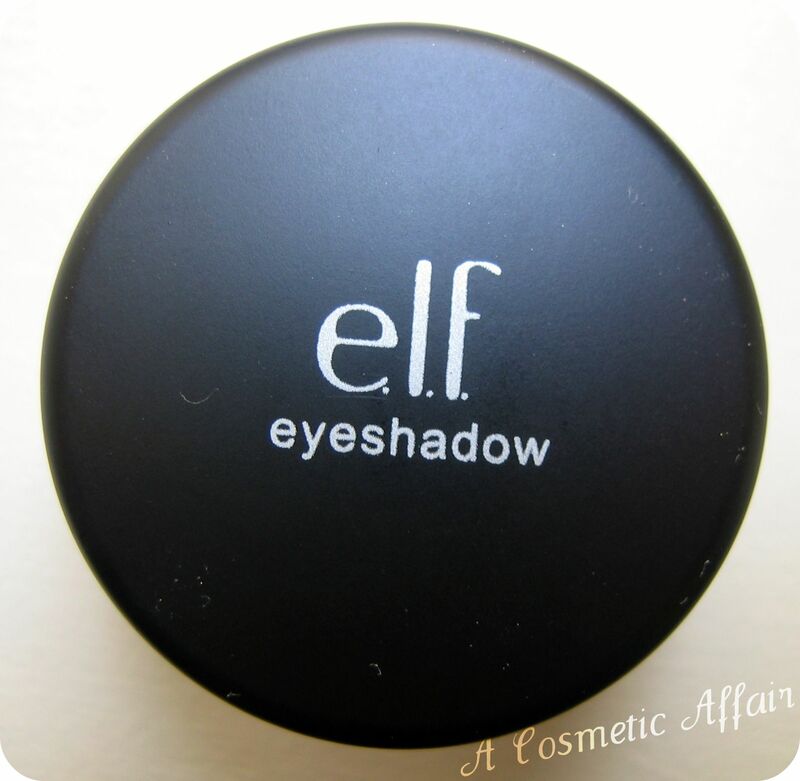 Do you own any Mineral eyeshadow from Elf? Do you like this shade? Gorgeous colour, I have quite a few of these but not Royal, it looks gorgeous! 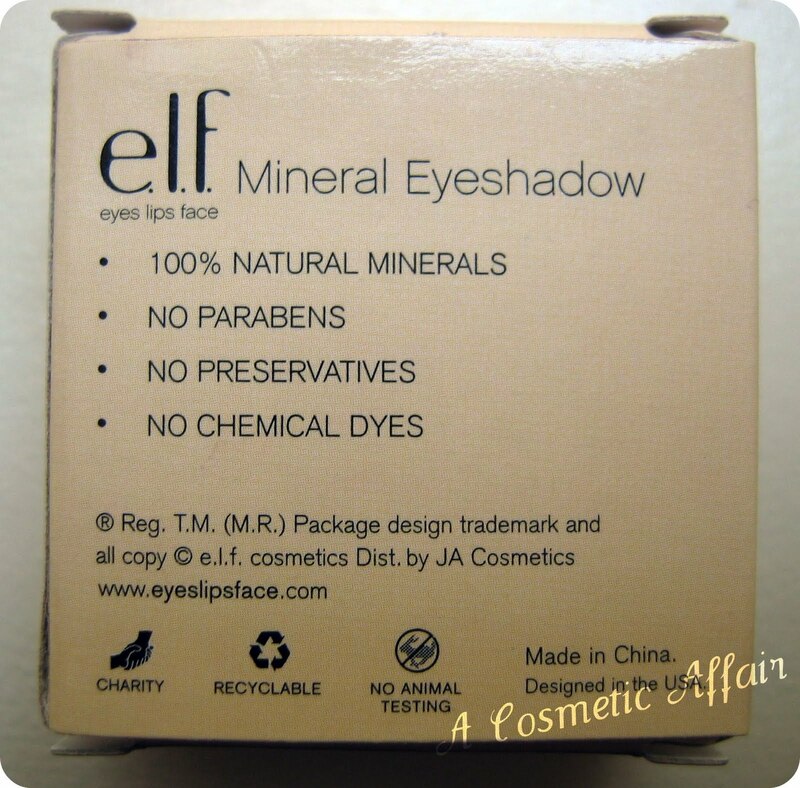 I can't wait for my next order of ELF mineral eyeshadow they look so great!! I really like ELF and their prices.. I mean, you can't beat good quality make-up for $1!!! And their brushes are great too!! Must try this tho… thanks for reviewing! @AllThingsMarie: Thanks for following once more, hope you get some and try them as they are truly amazing. I have dark brown eyes and purple looks especially good. @Beauty shades: I am more of a pressed powder person too, but I like to try different things too and with mineral shadow you can apply wet and it really makes a difference. @Sophie: I love their Studio line brushes and some of the regular ones too.